The Schanskraal Private Estate occupies some 13,000 hectares of outstanding natural beauty on the northern slopes of the 2,504 m high Sneeuberg mountain range in the High Karoo. 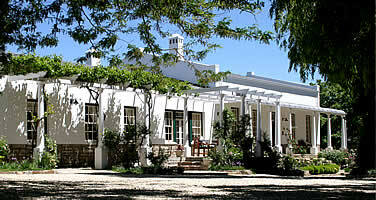 It is located in a malaria free area some 97 kilometres from Graaff Reinet and 52 kilometres from Nieu Bethesda. At Schanskraal we farm cattle and sheep and with our unique and diverse eco systems benefit from many indigenous plants, abundant birdlife including Black, Martial and Fish Eagles and animal species including Kudu, Leopard, Gemsbok, Springbok, Blesbok, Zebra, Klipspringer, Caracal, Jackal, Steenbok, Aardwolf and Baboon. gardens and next to natural ponds. When not occupied by the owners of the Estate, from time to time the Manor is available to rent but only to corporates (adjoining conference room facilities), sporting and shooting parties. 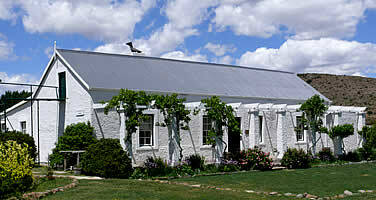 President Thomas Burgers is a secluded historic 5 bedroom pioneer farmstead located on the shores of the large lake. To maintain the atmosphere of its origins it has been painstakingly and attractively restored by the owners and is currently occupied by the Farm Manager and his family. There is also a wide and diverse range of activities offered on the Estate as well as the best driven grey wing shooting in South Africa. Schanskraal is also home to the Welbech Arabian Stud, an internationally renowned Stud which specialises in the breeding and training of fine Arab endurance horses and hosts the annual Schanskraal FEI***Endurance Ride. Schanskraal is an extraordinary lifestyle - a magical mix of a real farming environment within an uncompromisingly beautiful setting, where outdoor pursuits can be enjoyed in luxurious surroundings. Click for a direction map. We are also accessible by air to our private cross airstrip which can accommodate most light aircraft. The South African 160km Endurance Riding Championships held at Schanskraal in 2012 & 2013. In 2012 and 2013, we had the privilege of hosting The South African International 160km Endurance Riding Championships during the Schanskraal FEI *** Ride. A foremost annual event attracting a high level of competition and attendance with riders coming from as far afield as Namibia and New Zealand to compete. Our thanks go to all the sponsors of these events.